Home Boxing Petalcorin: "You say you are a warrior. Let’s fight. No more excuses"
Petalcorin: "You say you are a warrior. Let’s fight. No more excuses"
After Melindo announces that he is not interested in all Filipino fight, the former interim WBA World light flyweight champion Randy Petalcorin is still wishing and challenging Melindo to fight him. “I want to officially challenge you, Milan Melindo for your title. Give me this chance. Don’t worry about me or how would I feel. I would be forever grateful if you accept the challenge. 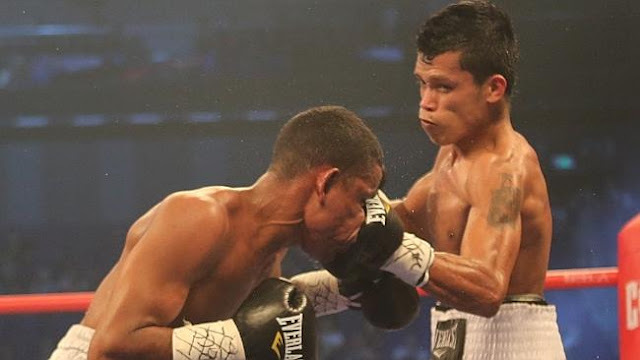 This is just a sport and I know this will be a very entertaining fight,” said Petalcorin (26W-2L-1D-19 KOs) in a press statement sent to Cebu Daily News. “If you say that there are other belts out there, I will tell you this: I want yours because I believe that of the four champions, you are the best. I want to challenge the best. Also, I believe I am the highest-ranked fighter in the division in the IBF at number 4 as the first three are vacant. Don’t worry about losing. At least the belt stays in the Philippines. You say you are a warrior. Let’s fight. No more excuses,” added Petalcorin. Randy Petalcorin of Davao City has a record of 26W(19KO)-2L and currently ranked no.2 contender for Melindo. However Melindo isn't yet responded and still focusing on unifying title in the light flyweight division.